Another Jordan CP3.V Out Now! Chris Paul is killing in the NBA right now with his impressive plays and it is a fitting way to advertise his fifth signature shoe, which has been getting a lot of attention in the market for the past few weeks. The Jordan CP3.V has been recently released in White/Black – Cement Grey colorway, which looks very simple but is absolutely an eye-catcher. The silhouette doesn’t only give you top-notch design but also boast performance-based superiority especially the Flywire technology applied to it along with the first-class comfort that it can give. This is now available for $120, make sure to grab one! 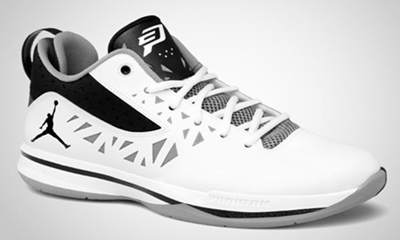 Check Out the New Jordan CP3.V! Another Jordan CP3 IV Out This April!